Which procedures will the robotic visualisation platform be used for? The new robotic microsurgery platform has been acquired thanks to a donation from barnaclínic+ to the Hospital Clínic de Barcelona. It will be used in various neurosurgical procedures, such as vascular neurosurgery, neuro-oncology and complex skull base and spinal column conditions. The platform’s visualisation technology is also indicated for use in other surgical specialties. What advantages does it offer the surgeon and patients? In neurosurgery operations, the surgical field is extremely small. For this reason, technological aids like the new platform, that help with planning, visualisation and navigation during the surgery, are very important. Moreover, for the patient, performing complex procedures in a minimally invasive way leads to better outcomes and faster recovery times. What improvements does the new visualisation platform offer? The new Zeiss® surgical microscope incorporates improvements in fluorescence observation. This technology enables the surgeon to distinguish between veins and arteries, visualise tumours and see blood vessels in great detail. The most remarkable feature and improvement offered by this visualisation platform is its robotic system. Controlled by the surgeon, it enables intelligent positioning and reduces manual movements. Dr Joaquim Enseñat, from the barnaclínic+ neurosurgery department, explains how the robotic movement of the surgical microscope works. “If we take a photo of an area we are working on and after a while we need to go back to it, just by pressing the image, the microscope goes back to the exact same position“. The new robotic platform will be installed in the neurosurgery theatre, which since 2015 has been equipped with neuronavigation technology. The neuronavigator is a system that allows the surgery to be planned in advance, three-dimensional images of the brain to be taken while operating, and the lesion or area being operated on to be located at all times. By integrating these two platforms, the neurosurgery department will have access to the latest and best technology in surgical planning, visualisation and monitoring. 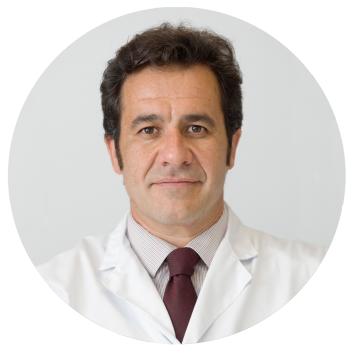 Dr Enseñat highlights the possibilities it offers and the benefit to patients: “Having access to this technology in theatre enables us to perform minimally invasive surgeries and optimise procedure times and accuracy, which without doubt means a huge benefit for our patients“, concludes Dr Enseñat.